Nature in its purest form! The design of the Plants collection is a hit thanks to its freshness, style, and elegant and happy colors. Rug in 100% cotton, machine-washable (conventional washing machine with 19 kg capacity). 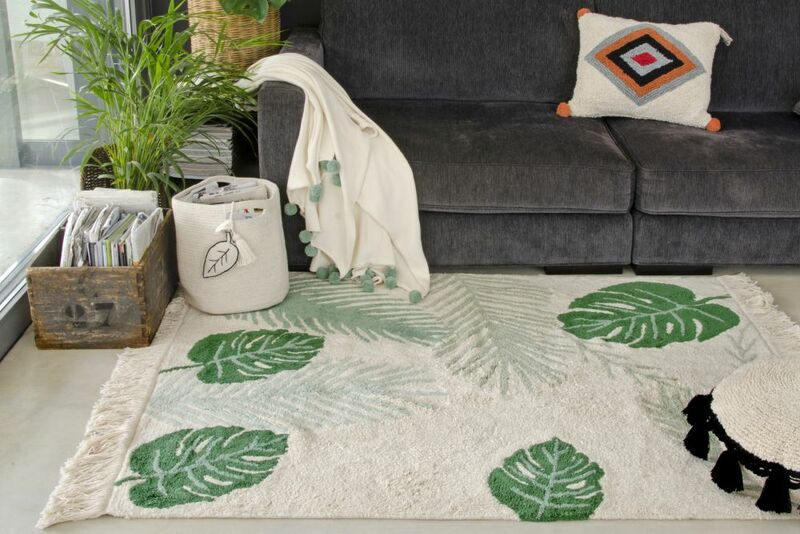 With large tropical leaf motifs in green tones, it is perfect for any room in the house, from the living room or dining room to the children\'s room, and create a unique space for girls and boys. Safe, since natural dyes are used. Light, soft and flexible, since it is made of cotton. As it is handmade, it has a unique and exclusive style.